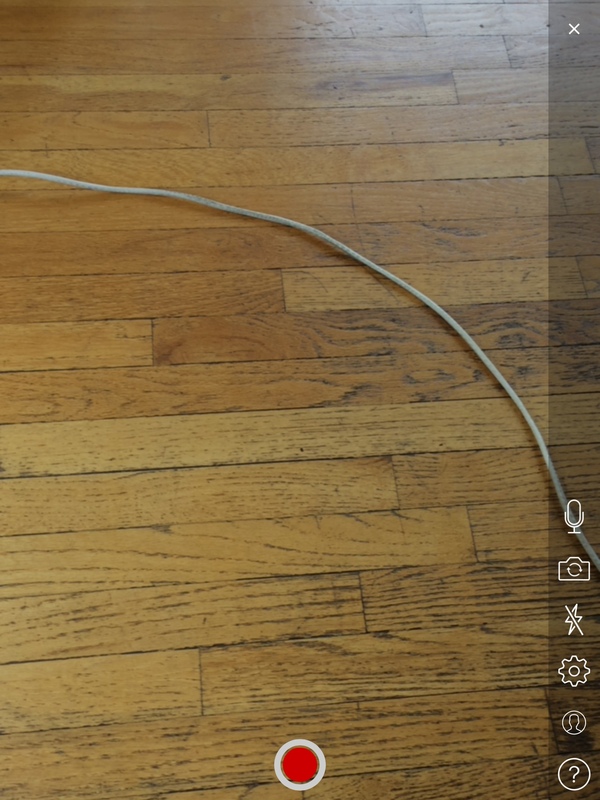 Looking to stream live video from iPhone or iPad devices? Using the app Broadcast Me, you can stream live video using an RTMP compatible streaming solution like DaCast. This app lets you use your iOS device to stream live video to your website, Facebook page and more. Note: There is an Android version of the Broadcast Me app as well. However, presently it does not work with DaCast, Broadcast Me is working on it. According to the new Broadcast Me pricing policy and terms, please note that BroadcastMe now offers unlimited streaming. This access entails a one-time upfront payment of $5.99, which offers lifetime access. Please note also that this price is for United States customers. Pricing in other countries may vary and actual charges may be converted to your local currency depending on the country of residence. Your first step to stream live video is to download the Broadcast Me app on the device you want to use. You can download the app here. After installing it, launch the app and click on “Start Live Streaming” at the bottom. Below is a preview of what Broadcast Me looks like (screenshot from an iPad Mini). The second is to change the camera (i.e. use the front or back camera). The fourth is to set up your stream. The fifth is to login to your Broadcast Me account (if you have one). The sixth one is the Help section. To set up your stream, please click on the gear icon . 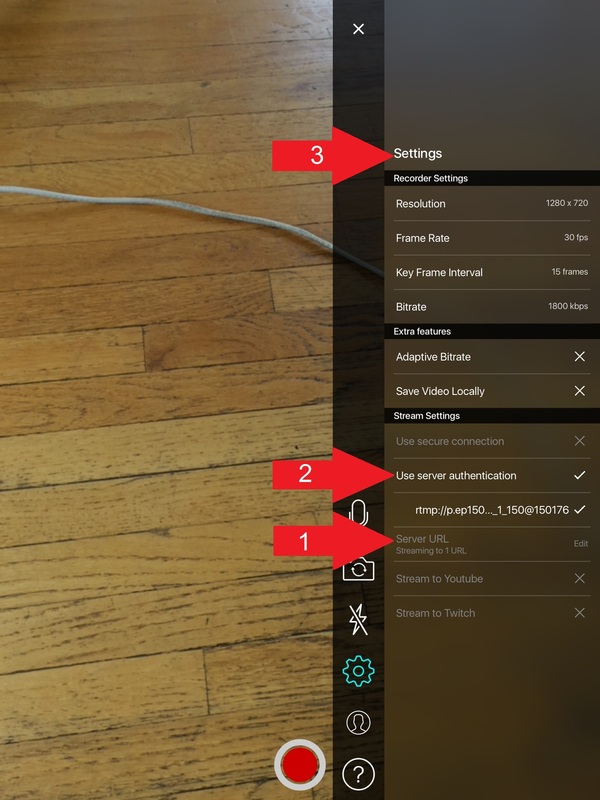 There are 3 steps at this point to set up your DaCast channel with your Broadcast Me app. For the first 2 steps, you need to sign into your DaCast account to get your channel information. Once you’ve signed in, you can proceed to the next section. Now you need to get the necessary information from your DaCast live channel. 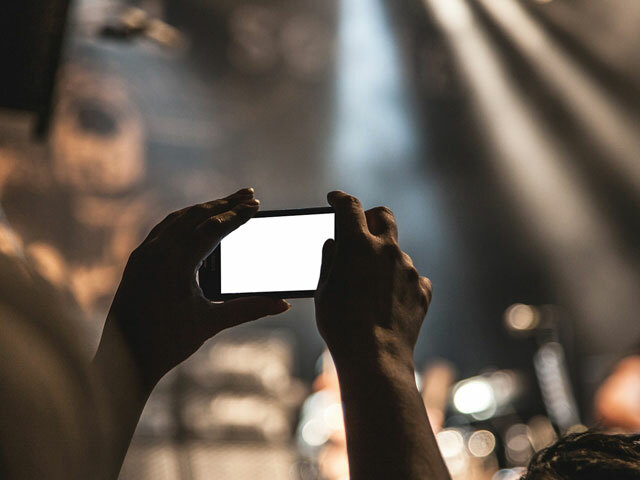 The easiest way is to connect to your DaCast account from the same mobile device from which you plan to stream live video. This way, you can easily copy-paste your DaCast information. If you haven’t already, create a live channel within your DaCast account. Now navigate to ENCODER SETUP. This is a three-step process. Note that the bitrate and resolution entered in the first step (shown below) will be ignored in this instance. So that field can be left at the default values or synced with what you plan to do in the app. Next up, you need the URL. Locate it under the third column toward the bottom. 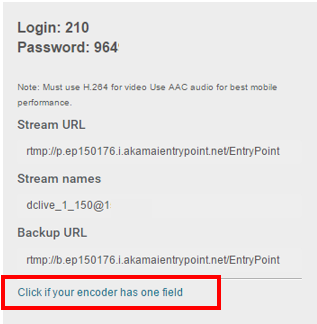 You need a single URL, so click where it says “Click if your encoder has one field” as shown below. This will produce one, long field called the “Full URL.” You need to enter this “Full URL” in the URL area of Broadcast Me. Unless you copy-paste, it will be a slow process to manually enter it (I speak from experience here!). Now it’s time to get setup to stream live video with Broadcast Me! We’ll walk you through the next three steps one by one. Once you’ve entered your server URL, please click ADD to add it to the list of Server URLs. You can remove any unnecessary Server URL from the list by clicking on the cross next to it. When you are satisfied with your server URL(s), click DONE. Please enter your login in the Username field and your password in the Password field. Once you’ve done so, please click DONE. You’re nearly there! The final step to prepare to stream live video involves configuring your settings. Before the fun begins, you need to configure the bitrate and the resolution at which you want to stream. a) The resolution depends on your preference (and your audience), although 480p or 720p are typically ideal. You can click on the Resolution field and select the one you want. b) The bitrate is important, and you do need to change it. By default, it’s set to broadcast at 1.8 MB per second. For most upload speeds, this default bitrate is too high. The majority of broadcasters need to change the quality to something between 350kbps to 750kbps. To best evaluate at what rate you can realistically stream, go to Testmy.net. Use the device you plan to stream with and do an upload speed test. Aim for a bitrate that is half or less than half of your upload speed. For example, if your upload speed is 800kbps, stream at 400kbps. You will need to factor in other elementsas well. These include distance from your router and whether you use a shraed network. Plan to do some tests to gather enough results. If you experience freezing in the feed, this means the bitrate is too high. Once you’ve trialed your streaming speed, click on the field “Bitrate” and enter the video bitrate you want in kbps. After completing the 3 above steps, you’re ready to begin! Just click the red button at the bottom of your screen and your stream will begin! 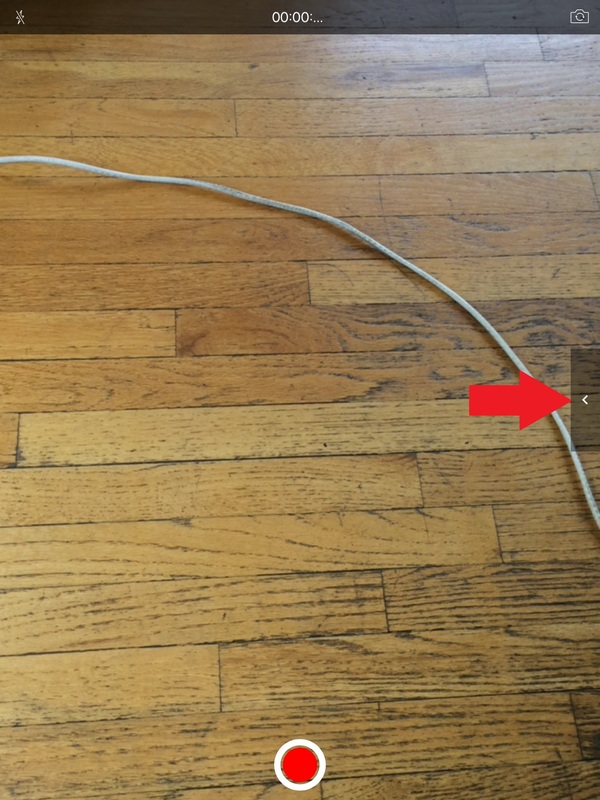 After approximately 40 seconds, you should be able to see your stream using your share code. That’s it; you can now stream live video from your iPhone or iPad! You’ve done it! You’re now broadcasting directly from your device. At this point, you have several options if you’re new to using your DaCast account. 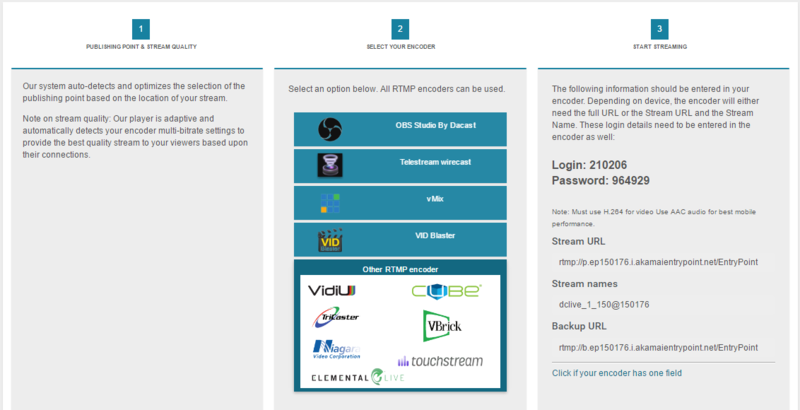 If you haven’t already embedded the live stream, check out this DaCast article on how to embed videos to your website. It walks you through a detailed approach to adding a channel to your website. If you have any feedback, including any tips and tricks you discover while using Broadcast Me, feel free to mention them in the comment section. We’ll be happy to field them! We’ll integrate any particularly juicy tips into this article or a future edition. For exclusive offers and regular live streaming tips, join our LinkedIn group. Finally, if you happened across this article and haven’t tried any video streaming platforms, why not give DaCast a try? We offer a top-quality, global live streaming CDN and high-end features at affordable rates. With our 30-day free trial (no credit card required), you can test out all the great DaCast features for yourself! Thanks for reading, and good luck with your streams! This is great news. Thanks for the post. Hi Anthony, thanks for the article. Can you please elaborate on how the bitrate, resolution and aspect ratio in step 1 of the encoder setup correlate with these same options in the settings of the app? Now I know you were just showing us an example, but in your example you have the app set to 480p at a 602 bit rate and in the encoder settings it’s set to 320 x 180 at 350 bit rate. So does that mean your App will be putting out a signal that is greater than that which will be published? Is this a waste of bandwidth and processing power on your device? Thanks for addressing this point. The Encoder Setup Bitrate/Resolution and Aspect Ratio are ignored unless you are doing multi-bitrate. The DaCast service and player will default to what your encoder is sending, regardless of what was setup under Encoder Setup. This only becomes important when you are doing multi-bitrate, as the different bitrates are denoted by their resolution to the viewer. Since the app is not equipped for multi-bitrate, it’s a non-issue. Thanks for bringing this up, though, I will edit the article to clarify this for anyone else who might have this question. There is a chance the above instructions might still be valid with YouTube Live, but not well versed in if they provide users a URL location from which to enter in the encoder to stream from. Hi Matthew this took me a while to figure out but I got it working on my account. Happy streaming using iOS Broadcast Me RTMP app!! Phil, thanks for hint regarding streamname!!! 🙂 Very helpful. I don’t see the button for generating the full URL on my encoder setup…? How do I generate the full url instead of the stream url and stream name?